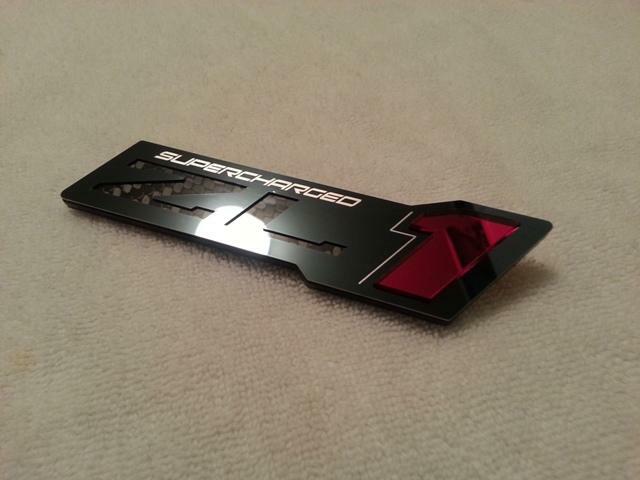 ZL1 'ZR1' STYLE ONYX STAINLESS STEEL & ACRYLIC EMBLEM for your Camaro. Made from premium black mirror Stainless Steel - our ONYX Series) - and UV rated Acrylic. 3M automotive emblem tape preapplied for easy installation. You have your choice of color for the "1" and also your choice of logo from below. Size 1.29" x 5" apprx. The "1" protrudes from the face of the emblem, and the "ZL" is recessed and is gloss black in color. 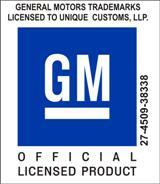 We can etch a GM logo or text of your choosing above the "ZL" section as seen in the photos. This is done in a permanent satin silver finish. If you choose to enter custom text, there is a 12 character limit. We can also do a carbon fiber insert behind the "ZL". The option is available below. NOTE: The above emblem shows Supercharged etching with a carbon fiber ZL insert with a red "1". *Includes 1 ZL1 "ZR1" style emblem.